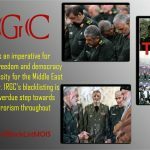 Regime Responds to IRGC Terrorist Designation with Threats of Terrorism against U.S.
IRGC, the Iranian regime’s main force for repression at home and for expansion of terrorism abroad was blacklisted on Monday, April 8. On Monday, April 8th, the United States designated the Islamic Revolutionary Guards Corps (IRGC) a Foreign Terrorist Organization (FTO), marking a significant departure from the Western policy of appeasement toward the mullahs. Within minutes of the announcement, the Iranian regime’s Supreme National Security Council (SNSC) retaliated by designating the United States Central Command (CENTCOM), which oversees all U.S. forces in the Middle East and North Africa, as a terrorist entity. On Wednesday, a number of ranking members of the regime’s Majlis (parliament) showed their support of the IRGC by wearing Revolutionary Guards clothing. More than 200 Majlis members signed a double-urgency motion designating U.S. military and intelligence forces in Western Asia as terrorist entities. 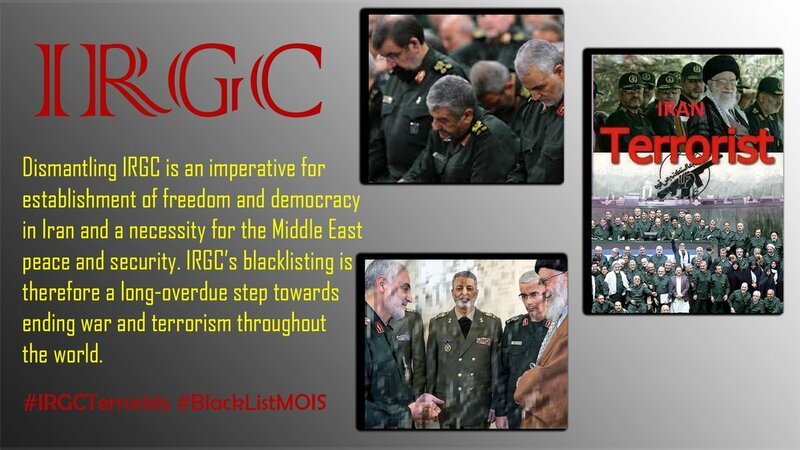 The MEK has called for the blacklisting of the IRGC and Ministry of Intelligence and Security (MOIS) for many years because of their involvement in terrorist activities. The regime’s reaction to the IRGC’s inclusion on the FTO list is further proof of why the designation is long overdue. The regime and the IRGC are responding to a terrorist designation with multiple direct threats of terrorist retaliation. Fortunately, the FTO designation will make it difficult for the regime to follow through on these threats. Known terrorist organizations have difficulty getting funding.